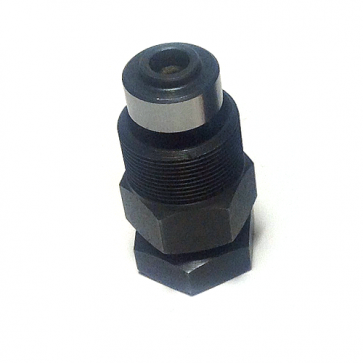 Crank Puller for Electric Bike Engines for Bosch or other electric bike engines to loose the crank. The crank puller (SHIMANO Octalink (BB-7700/6500/5500)) is perfectly suited for electric bike engines. It can be operated with a 22 spanner. For example, you need this crank puller to install electric bike tuning tools like ASA eSpeed, Sx2 Dongle or BlackPed modules. Important: You don´t need any other special tools to open the engine and to install the tuning device into Bosch Active, Performance or Performance Line CX engines. Application: Use a 22 spanner to screw the crank puller into the crank. Make sure the screw at the puller is screwed outside to the maximum, so that the two wrench flats are removed from each other as far as possible. Now you can use the 22 spanner to screw in the screw. If you screw it in, the crank will be removed from the inner bearing axle. Further tips: Depending on your electric bike type, you have to use various additional standard tools (which are not included in the set) to open the engine – in most cases a hexagon socket 8, hexagon socket 3 and a Torx 20 screwdriver. You can also use the new EBikeSpider to replace the 22 spanner. The EBikeSpider also replaces the spider for Bosch Classic engines as well as the spider for Bosch Active, Performance and CX engines. Click “here” to find out more.